The Wayne Township Police Department, Garfield City Police Department and the New Jersey State Police Missing Persons Unit are seeking the public's assistance in locating 24 year old Jorge Rodriguez and 25 year old Melissa Pereira. 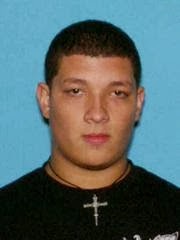 Jorge Rodriguez is 5'10, 181 pounds with brown eyes, and black hair. 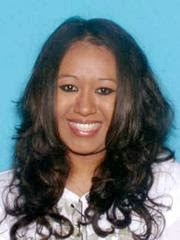 Melissa Pereira is 5'07, 141 pounds with brown eyes and black hair. They were last seen on Friday, December 27 in Wayne, N.J. driving a White Honda, with tinted windows and a New York Giant's decal on the rear of the car. That vehicle has a NJ license plate of E77-AYX. They had reservations at a bed and breakfast in Stroudsburg, Pennsylvania on December 31, but they never checked in. There were possible sightings in the Hunterdon County area. Anyone with information is asked to contact the Wayne Township Police Department at (973)633-3530, Garfield City Police Department at (973)478-8500 or the New Jersey State Police Missing Persons Unit at (800)709-5464.